At some point every bird needs to fly solo and with “Mercury’s Down” that is just what Toby Hitchcock did. This is the debut solo album from Pride of Lions vocalist Toby Hitchcock. Now there is no doubt that Toby it one of the best vocalists of the past decade. Maybe even THE best, so I was both excited and curious when I heard the news. This is the first time we get to hear him take on songs from a songwriter other than Jim Peterik and I was very curious to see how he would handle it. The songwriting task went to Mr. Erik Martensson of the band Eclipse who wrote, produced and played most of the instruments on the album and boy did he give this one his all. This is an amazing album filled with melodies and hooks and harmonies and everything a fan of melodic rock can ask for!! 1.) This is the Moment- The first single off the album. It took me a few listens to get into this one for some reason, but once you get there it is an awesome! Starts off slow, then builds into a heavy keyboard intro, then just plain out rocks! 2.) Strong Enough– Track two does exactly what the second slot is supposed to, Not only keeps the pace but kicks into overdrive. A great uplifting rocker!! Great harmonies awesome solo! Mega Chorus! 3.) How To Stop– The slow intro makes you think your in for a ballad, but soon turns into an upper mid-tempo rocker. 4.) Let Go– A moody mid-tempo rocker. 6.) I Should Have Said– Starts off at mid-tempo, but soon picks up and goes into a great guitar driven rocker. Monster chorus! 7.) If It’s To Be (It’s Up To Me)– Awesome feel good uplifting rocker!! Another monster chorus! 8.) Just Say Goodbye– Awesome first verse! Another great rocker! 9.) Summer Nights In Cabo– My personal album favorite! Something about this song just feel right to me. Another monster chorus. More amazing harmonies perfect songwriting! 10.) Tear Down These Barricades– Hard and heavy guitar driven rocker! Awesome guitar work! 11.) A Different Drum– Hard and Moody rocker! Starts off in Mono and cracks into an awesome drum march and then thunderous guitar and keeps rockin’! 12.) Mercury’s Down– The album ends with the title track and what a way to end an album! A perfect hard rocker! Monster Everything!! 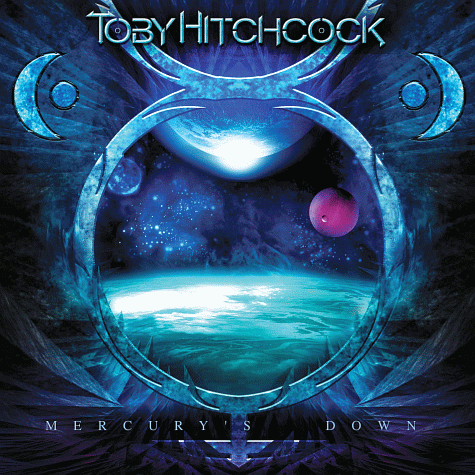 With his first solo album Toby Hitchcock has indeed proved that he can make a life for himself out side the confines of Pride Of Lions, thanks mostly in part to the talents of Mr. Erik Martensson who is responsible for the great songs and production, but credit must also go to Toby himself for giving the vocal performance of his already impressive career! Yes!!! Absolutely 100%!!!!!!! I love Toby. I love the Pride of Lion albums, but the first one is by far the best if those. However, this is an absolutely amazing and stunning album. I can’t get enough of it. Toby’s soaring vocals is breath taking. My wife of 22 years divorced me and the song ‘How to Stop’ gives me goose bumps. I still hopelessly love my wife and when the song stops and then comes in with his powerful voice and the chorus just brings tears. I doubt Toby will ever see this but sir you and Erik made a brilliant album. I wish I could get every one to give it a chance. It is beyond accolades. Thank you so much. I am 41, but I feel like a teenager as I sing along to it. Please collaborate again. I will be waiting. PS – Erik, I love Eclipse, but your debut, in my most humble opinion, is vastly superior to all three of the other albums. That is a classic. I know reviews ie. melodicrock.com scored it lowest, but…well…they are wrong – lol. W.E.T. is flippin’ excellent too (melodicrock.com got that one dead on)! I guess the point is Erik you are a genius.